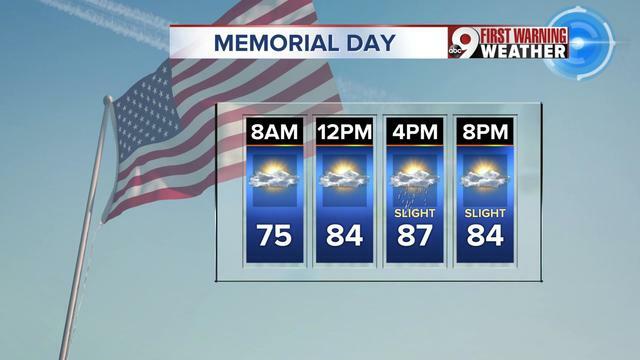 We're about to enter a holiday weekend, so you know there's going to be a rain chance in the Tri-State. Here's a look at each day with your best chances for rain highlighted. The holiday weekend basically begins tomorrow, especially if you're traveling. We will have a mostly sunny day with temperatures warming into the mid-80s. 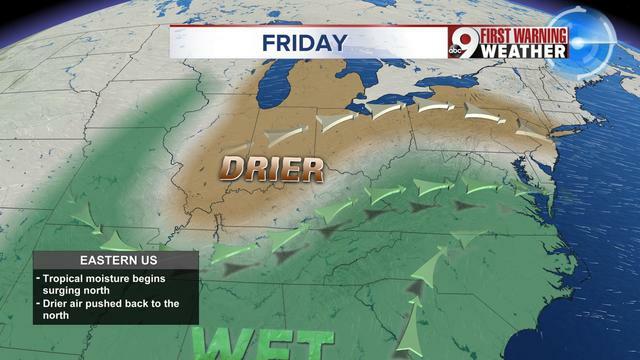 I still can't rule out a stray shower in Northern Kentucky and southern Ohio during the afternoon and evening hours as moisture starts to come up from the south. But for the majority of us, dry air will rule the day. If you had to pin point one day this weekend to check the radar from time to time, it's Saturday. 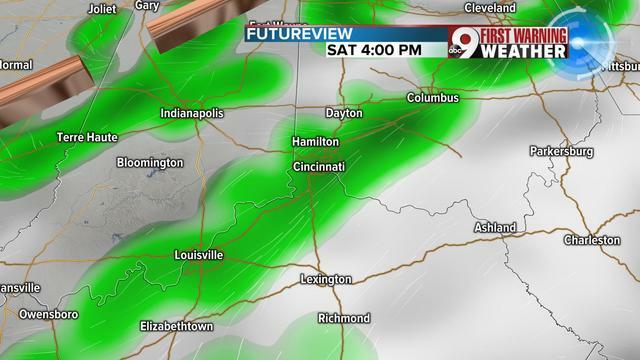 A wave of showers will develop that afternoon, and we'll see a few storms too. Saturday morning still looks dry but with increased humidity. The afternoon will have scattered storms with highs in the mid-80s. 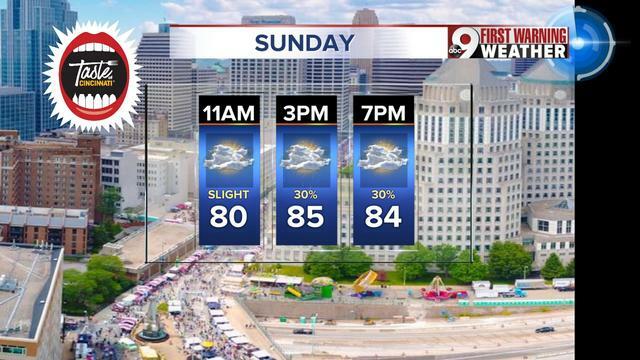 If you are heading to Taste of Cincinnati on Saturday, your better option is to go at lunch or wait until the late evening hours. But the day is not a total wash out. Best rain chances from 3 p.m. to 8 p.m.
After showers and a few storms on Saturday, Sunday still needs to be monitored for rain. There is tropical moisture trying to come up from the south and a weak system sitting to our northwest. Isolated showers will be possible mainly between 1 p.m. and 8 p.m. Temperatures warm to the mid-80s, and it will be humid. The high of 85 will feel closer to 90. As we roll into Monday, get ready for a hot and humid day. This day only has a 20 percent chance for showers, so we'll thankfully have a mostly dry day. While this is good news for all your outdoor plans, do know that it's going to feel a lot warmer outside. Heat index values will rise into the low to mid-90s for much of the afternoon. Sunscreen and water should make your short list for the holiday.